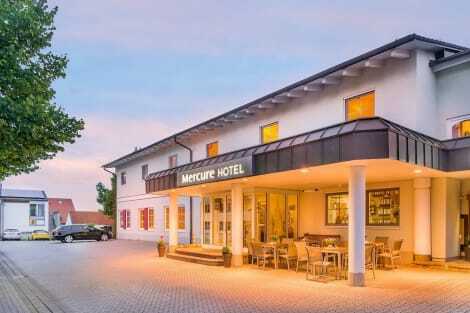 Situated in the heart of Ingolstadt, this hotel offers modern rooms. It is just a short walk from the River Danube and Ingolstadt's pedestrian shopping area. Spacious rooms equipped with a private bathroom and contemporary furnishings await you at the family-run Altstadthotel. You can also look forward to a breakfast buffet each morning. Guests can also choose from a range of drinks at the on-site bar. Audi's headquarters and the Museum Mobile (Audi Museum) are just 1.5 km away from the hotel. Enjoy a satisfying meal at Widmann serving guests of Mercure Hotel Ingolstadt. Buffet breakfasts are available for a fee. At Md-hotel Pius Hof, enjoy a satisfying meal at the restaurant. Wrap up your day with a drink at the bar/lounge. lastminute.com has a fantastic range of hotels in Ingolstadt, with everything from cheap hotels to luxurious five star accommodation available. We like to live up to our last minute name so remember you can book any one of our excellent Ingolstadt hotels up until midnight and stay the same night.